It has high transparency and is less slippery than the other 5 mm pressure products used so far, and the condition is very good. I'm satisfied. This review is about item#7057985. I drew under the fan. The sound of the fan softened and the energy of the fan increased. This review is about item#36295874. The brightness of the LED sensor light is high, and when the glare leaks to the surroundings, it creates a shroud as it is annoying. I thought that light should be softened when seen from the surroundings. However, I did not want to limit the irradiation range to kitcheny with an opaque shroud, so I used this translucent product. 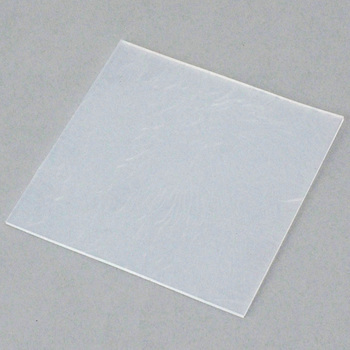 After cutting this product to an appropriate size, it adheres to the light body with double-sided tape for silicon material. Although it exerts the effect as aimed largely, durability needs to be evaluated from the future passing age. We are satisfied with the size and price affordable. Even if I look for similar things, I am saved because I can not find it surprisingly. Though 1.5 mm thick next is 2.0 mm thick linap, if there are 1.25 mm, 1.75 mm, etc., it is also helpful. This review is about item#36295847. Extract of sweets? I will. I thought that it would be troubled if it got curled up, and I did not know where to write the message, but if I sent it separately, I was shipping it in time to see it. I just arrived soon and I wish I could have it now since I could not stretch it. I thought it was a five star if it was a bit cheaper. This review is about item#36295795. It was pleasant that the price was cheaper than any site with the softness as I imagined. This review is about item#36295734. I use it when closing the cap with a drill, but it is very useful and useful. Morse code for the signal key (key 9 on the bottom of the pedestal to prevent slipping. Although it is perfect for both quality and price, in order to ship in the state of pickup at the time of pickup, it is that the curled habit is attached at the time of receipt. I hope packing it in a flat condition. This review is about item#36295761. I used it, but it got useless immediately. After all, it is useless to use it every day. This review is about item#36295752.